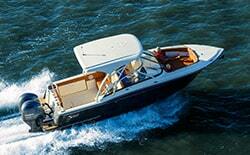 It’s one of the most fundamental questions when purchasing a boat: should you go with new or used? 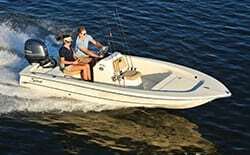 Just like buying a car, new and used boats each have their advantages. Understanding these differences is essential to making the right choice for your needs. We hope this post helps you make the right decision for you. 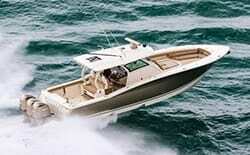 Reliability is usually the best reason to purchase a new boat. With used boats, especially from private sellers, you really don’t know what you’re buying. The upkeep and maintenance may not have been performed properly—but a new boat is ready to deliver years of reliable service from purchase. 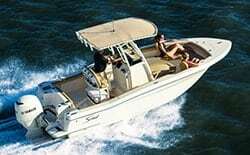 With a new boat, you also have the chance to pick and choose the specific options and features you want for your boat. For example, you can use our Build Your Scout tool to create the exact boat you want. 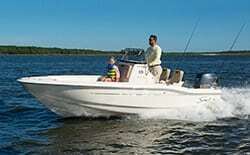 Add your preferred fishing features, hull color, seating type, electronics, and more. With a used boat, you are basically stuck with whatever is available at the time. 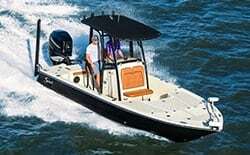 Warranties are also another advantage of new boats. Not only are they more reliable, but if anything goes wrong, you are often protected with the boat’s warranty. 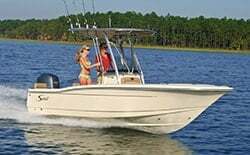 Scout Boats has excellent warranties, including a 10-year limited structural warranty and a three-year stem-to-stern warranty. Depending on the motor package you select, you will also likely have a warranty that protects the motor itself. 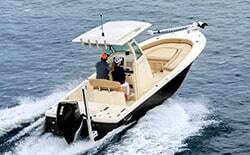 Finally, with a new boat, you can choose from many of the latest boating technologies and innovations. Yes, these innovations will eventually make their way to the used boat market, but if you buy new, you’ll be the first one to have them on the water. Price is really the most important reason that people choose a used boat. With used models, you can save some money on the purchase. 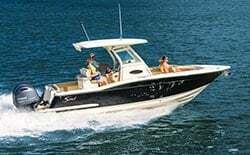 While you may not get the reliability or warranties that come with new boats, the savings can be enough to convince people that used is the best choice. that have been used, tested, and approved by boat owners. The cost of ownership can also be less, especially insurance. 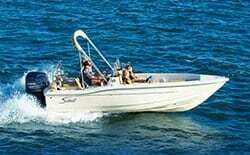 Generally, the cost of insurance will go up with the overall purchase price of the boat. So, if you paid less on a used boat, it will likely cost less to insure. If you choose to go for a new boat, make sure you browse all the fantastic options available from Scout Boats. 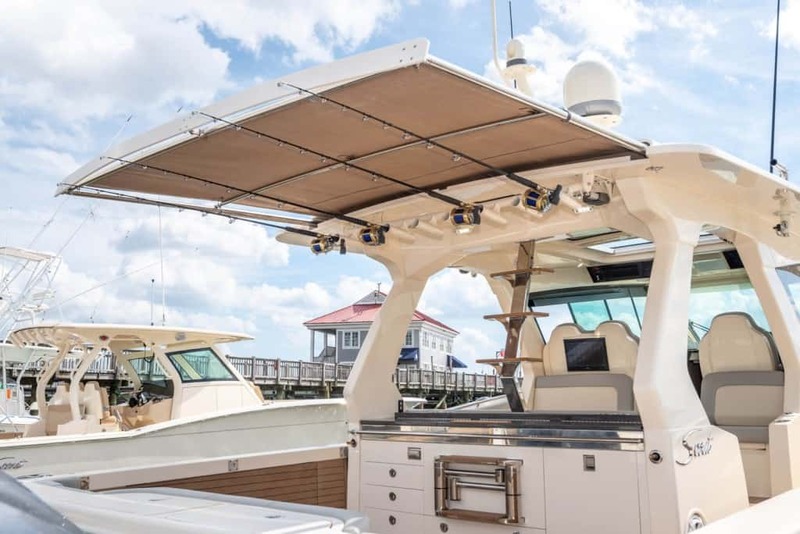 With a wide variety of models and sizes, as well as the latest technologies and innovative engineering, we can help you find the perfect craft for your needs!